Best skiing in Austria? The Arlberg for sure but don’t miss out on the Zillertal Arena – there is some epic skiing there. One of the themes that we feature on the new Skiing Austria website is the ‘best skiing in Austria’. We think that the best ski holiday resorts in Austria are Lech, St Anton, Stuben, Neustift, Solden, Konigsleiten, Gerlos and Zauchensee. There are some very big names in Austrian skiing clearly missing from this list and some are no doubt very worthy but we had to make it a manageable list. OK so to justify them (and we have skied them all many times) Lech we rate for its intermediate skiing and snow record (Lech being Lech-Zurs) the snow is almost always excellent and if there is little snow in Lech-Zurs then there is none in the rest of the Alps. For intermediates the area is superb. St Anton is unmatched for tough skiing and the amount of it – the new Rendlbahn ski lift should allow more people to sample the Rendl action. 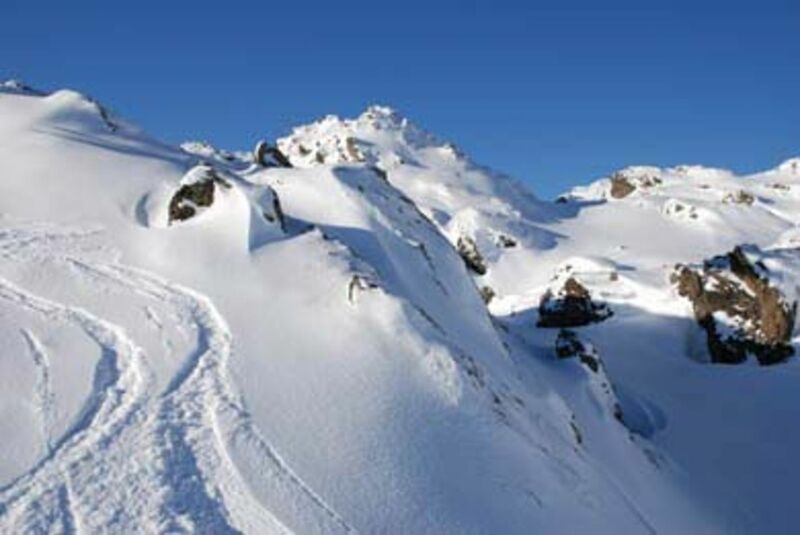 Stuben am Arlberg could be the best off-piste skiing in the Alps. The snow record and the size and variety of the routes down from the Albona are very tough to match anywhere. The Stubai Glacier has the best facilities, ski area and snow record combination of any glacier skiing area in the Alps – the kids facilities are outstanding and powder skiing from October right through to June is common. In terms of value to action ratio then we think that Solden has just about the best après ski in the Alps. Sure St Anton and Ischgl are absolutely up there but there is a no-nonsense approach to après ski in Solden and prices can be pretty fair – it aslo has fantastic skiing and 2 glaciers. For ski-in, ski-out then Konigsleiten in the Zillertal Arena gets our nod, pretty chalets, great snow record and one of the best ski regions on the Alps. Gerlos its neighbour is also on the list, great snow record, full-on après ski, skiing to 2500m and part of the superb Zillertal Arena ski region. Zauchensee we rate very highly for its ski-in, ski-out resort hotels, being one of the highest resorts in the region, the shared Salzburger Sportwelt ski region and its proximity to Salzburg. I am sure that not everyone will agree nor will everyone have had the experiences we have had at these resorts, but trust me, we have skied these places a lot and had some incredible days in the mountains in these locations. Let us know your best skiing in Austria.